Before class, they boys couldn't find Barbie anywhere! They eventually found her in the library, hard at work on something. 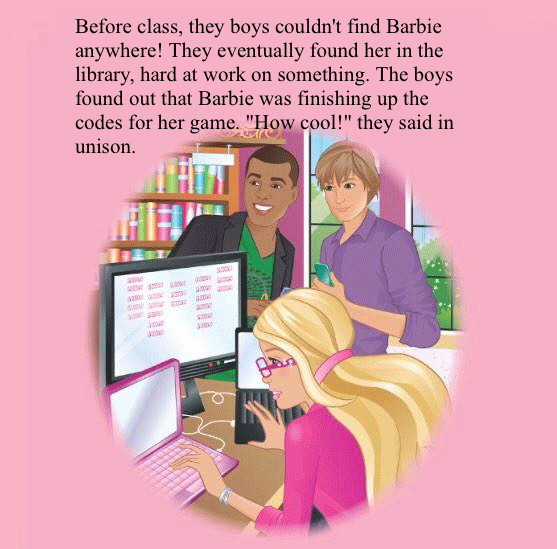 The boys found out that Barbie was finishing up the codes for her game. "How cool!" they said in unison.